DAVID LE/Staff photo. 5/12/15. 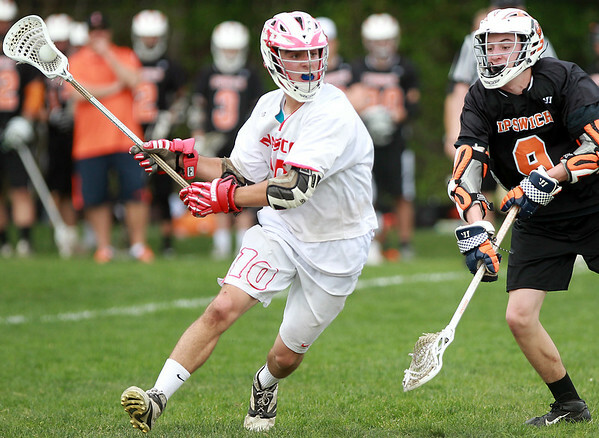 Masco junior midfielder Mitch Godett (10) winds up to take a shot while being pressured by Ipswich sophomore Tommy Ginolfi (9).